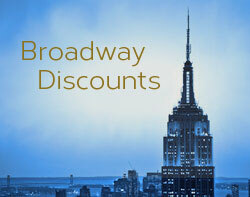 Do you want to take a trip to New York City, but don’t want to spend a lot of money getting there? You should check and see how much it would cost to ride one of the big buses that travel to and from the city every day. Most of these services advertise that they have rates as low as $1 each way. Those $1 fares are limited and go disappear quickly, but the regular rates can be pretty cheap too. See the tips on finding the best deals at the bottom of this page. A New York Times writer tried out several of the low-cost bus services and wrote about his experiences back in 2011, it’s a good article and gives you an idea what to expect. Peter Pan Bus Lines – These buses arrive and depart from the Port Authority Bus Terminal in New York City. They also operate a Chinatown bus service called YO! bus that picks up in Boston and Philadelphia and drops off in Chinatown. They advertise rates as low as $12. Go Bus – Go Buses travel to NYC from Cambridge and Newton, MA. They have new buses with free wi-fi and power outlets. They arrive and depart from Penn Station, 31st Street, between 8th and 9th Avenues. Greyhound – Greyhound Express offers buses with power outlets and free wi-fi, and they offer cheap rates. They depart from a long list of cities. Tripper Bus – This bus service travels between New York City and Bethesda, Maryland/Rosslyn Virginia (Washington DC area). And they offer free wi-fi and electric outlets. As of November 2013, their regular rates were $27 each way, and they offer some $1 fares. Wanderu – Not a bus company, but a website that allows you to search for buses and compare rates on routes throughout the US. Tips for finding the best deals on bus travel. 1. Book as far in advance as you can. 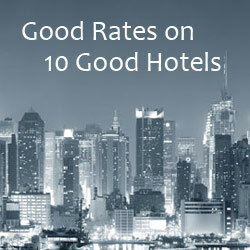 The rates tend to go up as the travel date nears. 2. Travel on week days. A lot of people want to travel on the weekends, so those are the busiest and most expensive times. 3. Don’t travel during rush hour. Some people use the buses to travel for work and they’ll fill up the ones that arrive in the city early. You’ll probably get a better deal if you can arrive later in the day. Not all of the longer distance routes have multiple arrival time options, but many of the shorter trips do. 4. Be flexible on which day you travel. Sometimes shifting your travel plans by a day or two can save you money. 5. 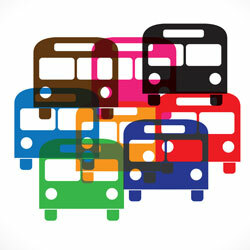 Use Wanderu’s bus fare search. You’ve always been able to comparison shop for flights with the travel search sites, now you can comparison shop for bus travel at Wanderu. Just type in where you want to leave from and where you want to go, and they’ll show you your options, with fare costs. It’s a great way to fine the cheapest dates and time of day to travel.